Looking for a fun outdoor summer activity that the entire family can enjoy? 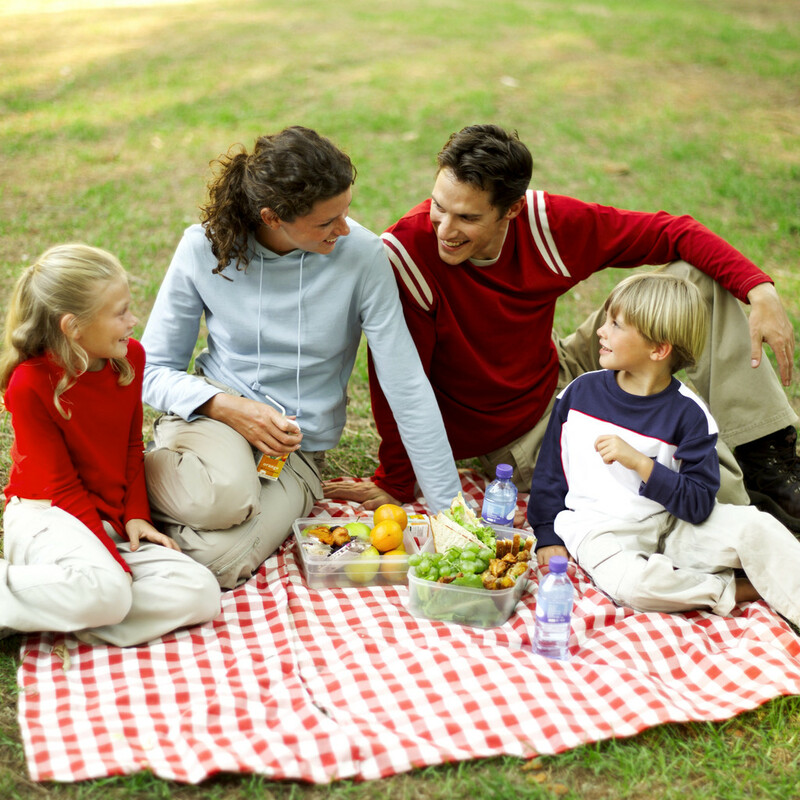 Why not pack a healthy picnic and venture to a local park, a zoo, or even your backyard! Make the entire event a family experience from planning the meal to writing the grocery list- from visiting the supermarket to preparing the food- from packing the food into your picnic basket to picking out a location to eat- to eating, spending quality time together, and playing outside! What’s the most family-friendly place in your town or city? Is it a local park or a zoo? Perhaps you live in a larger city, but still have a little backyard space; if you have small children, you may understandably feel safer having your picnic closer to home. If you’re thinking about picking a park, check to make sure there isn’t a major event taking place like a concert that may not be family-appropriate. If you’re thinking about visiting a zoo, make sure they allow you to bring in your own food. As a parent, you can never be too prepared. You certainly want to fill your picnic basket with healthy food, but you also have to take into consideration what your kids will actually eat. Because some kids can be extremely picky, make writing the grocery list a family event, and let the kids have their say. Remind them of fruits and vegetables that they like but may not remember, or pull a “mom trick” and hide healthy essentials in foods they do like. One popular way to sneak servings of fruit into a kid-friendly “treat” is to make a smoothie with fat free vanilla yogurt that you can store in a cooler to keep cold. Otherwise, you can always swap white bread for wheat on their PB&Js and hope they don’t notice! Take the whole family to the grocery store; stick around the produce section long enough and you may find your kids wanting to try something new! Pack Your Picnic Basket, Head to Your Site, and Enjoy Some Family Time! Paige One enjoys writing about summer time activities that are fun for the entire family! Have a great time with your loved ones this summer and bring along Picnic Baskets for a complete day trip. What great tips and ideas! A family picnic sounds fun! Thanks for the tips. I haven’t gone in a picnic in a while but I would love to. A picnic sounds like a great idea…as soon as it cools off! Hope you are able to go soon! Jake has recently made the switch to wheat on his own, yay! Great tips. I wish it wasn’t so hot outside. Awesome tips! I love picnicking during the summer! Picnics seem to be very rare these days but are great when the weather is nice.